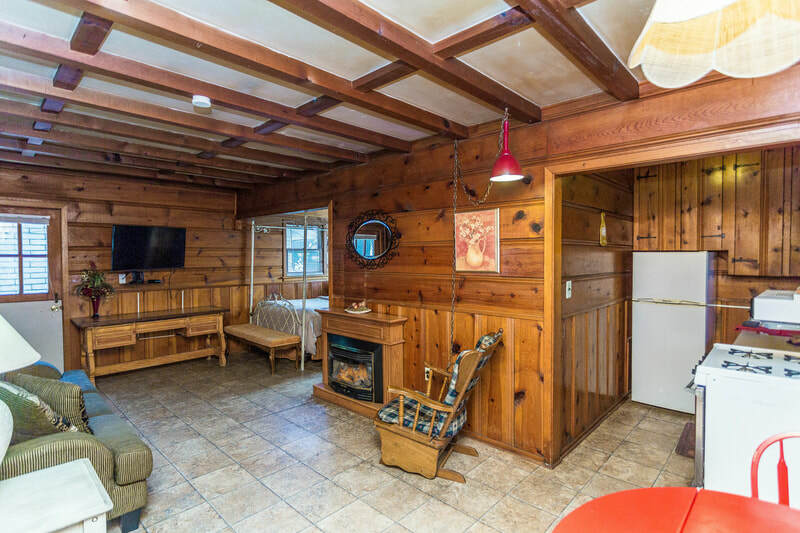 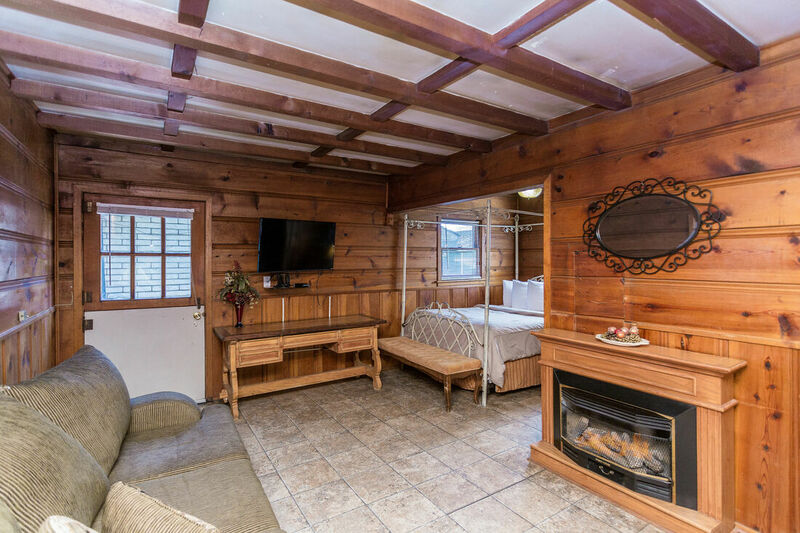 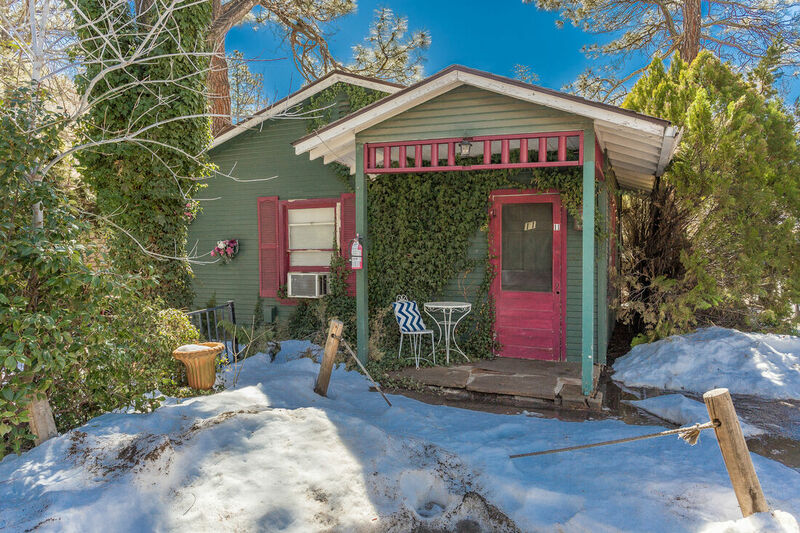 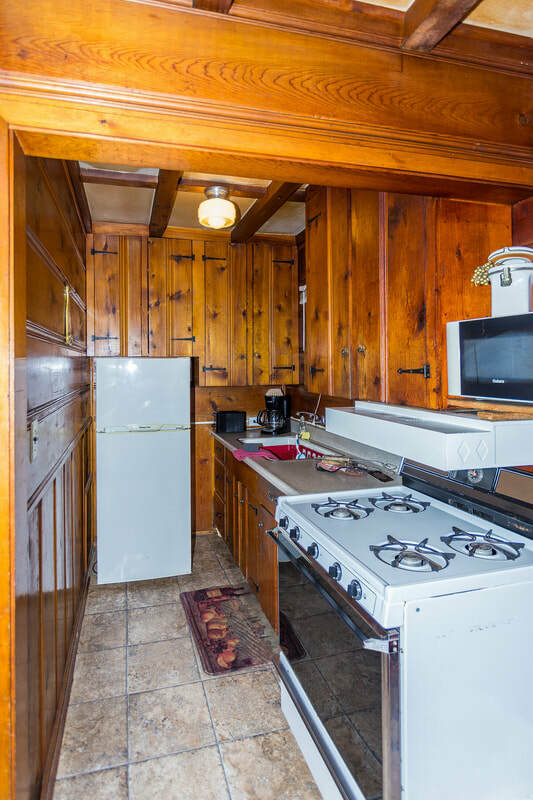 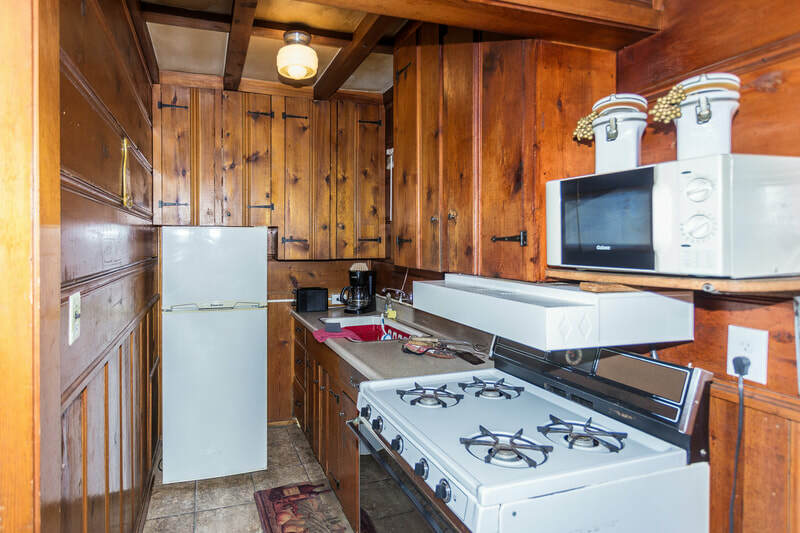 The Original Cottage is still done in its original knotty pine. 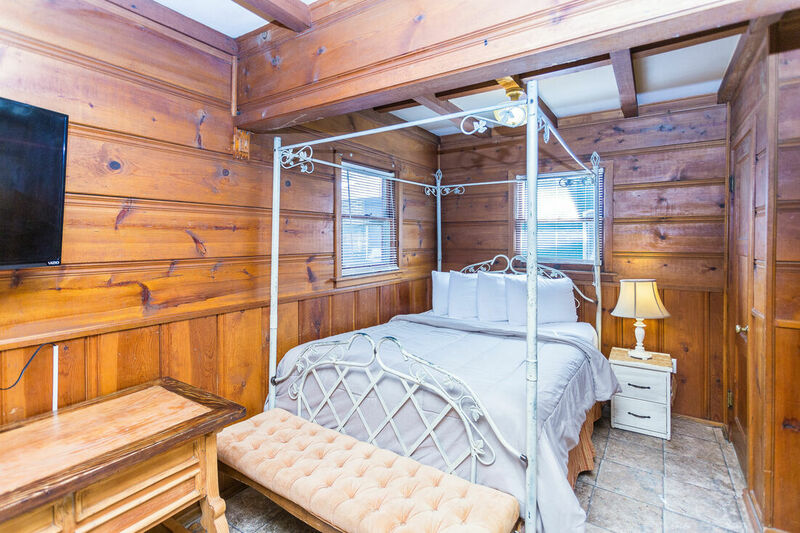 Sleeps 2 with a queen bed. 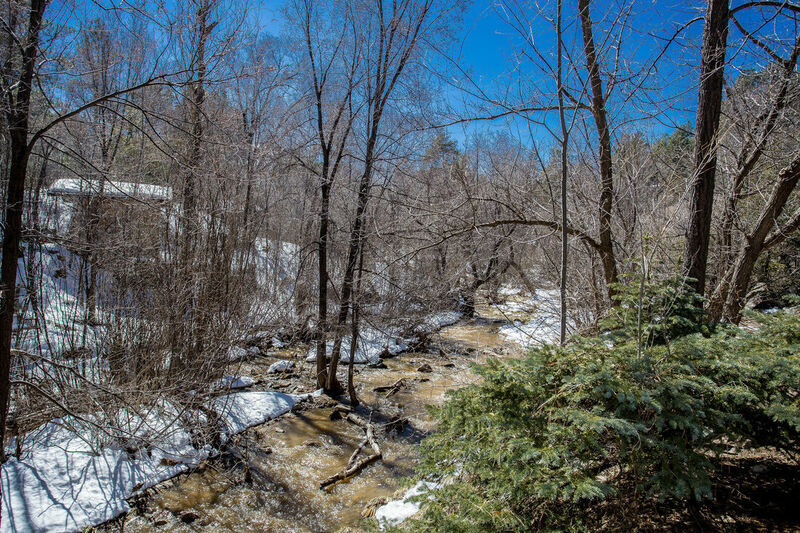 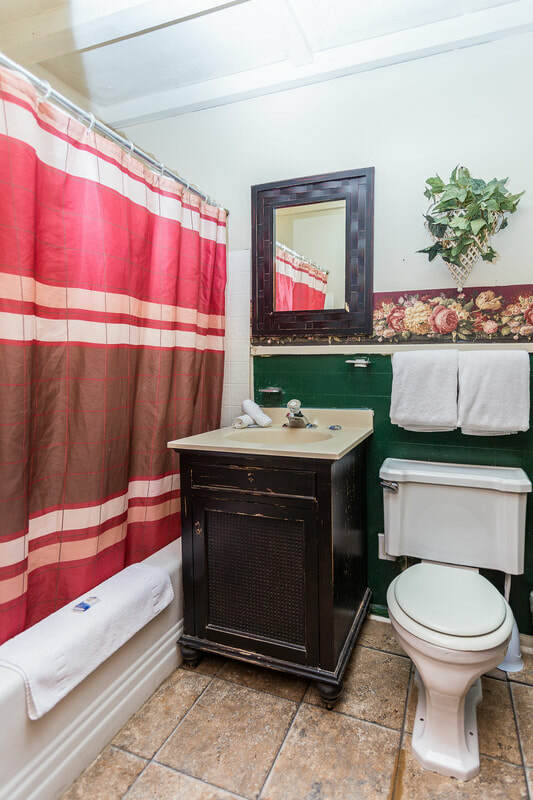 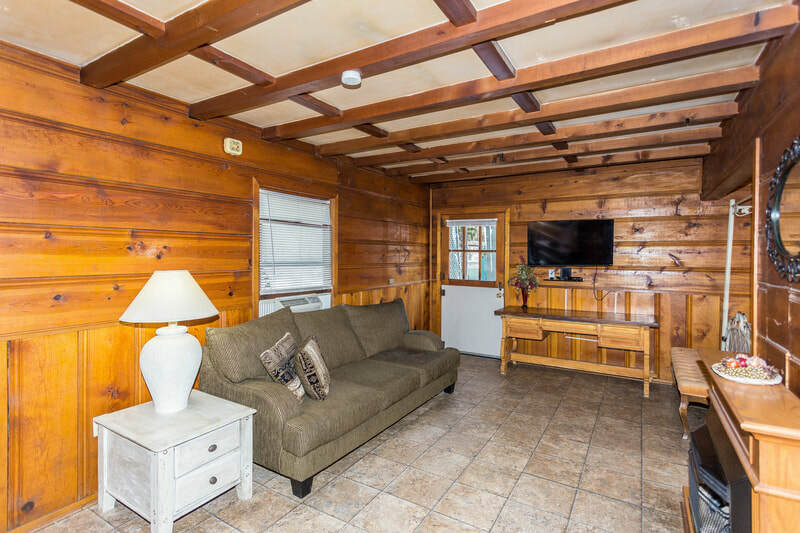 It is a standalone cottage with a private patio, full bathroom, full kitchen, table for two, sofa and gas fireplace.